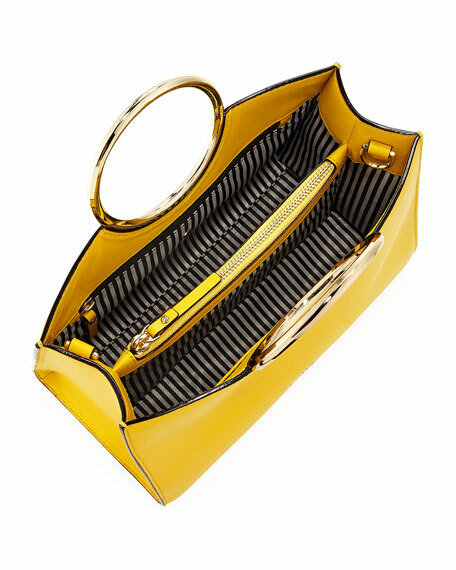 kate spade new york structured top-handle bag in smooth cowhide leather. Round metal ring handles, 4" drop. Removable, adjustable crossbody strap, 22" drop. Open top; center zip divides interior. Exterior, logo stud at center front. 7.7"H x 10.2"W x 5.1"D.
"white rock road sam" is imported. For in-store inquiries, use sku #2581089.